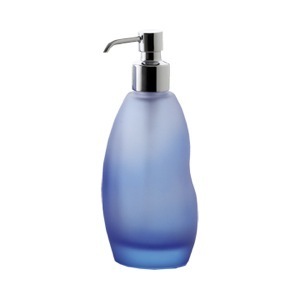 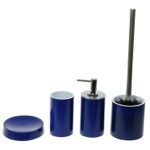 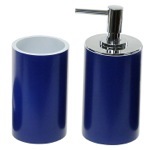 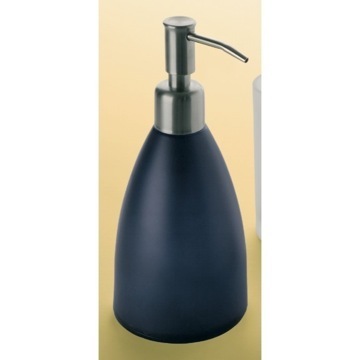 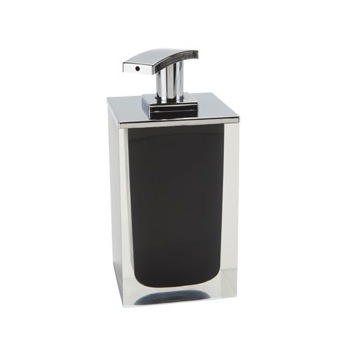 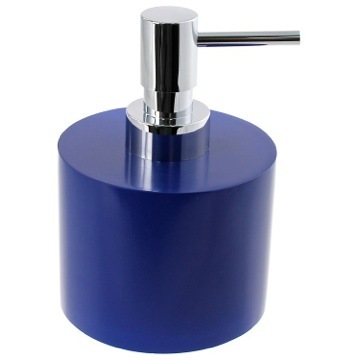 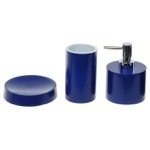 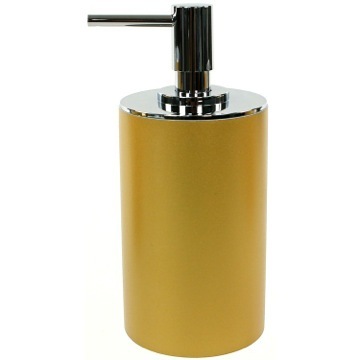 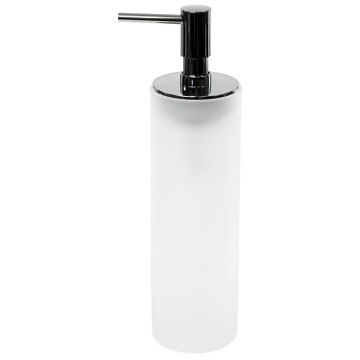 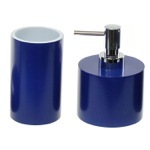 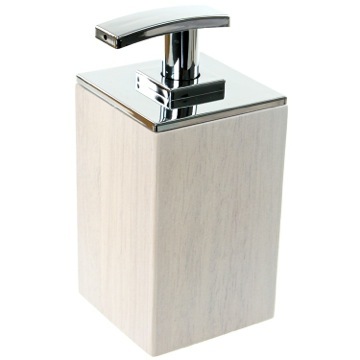 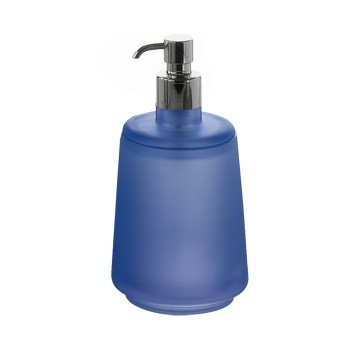 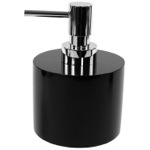 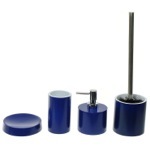 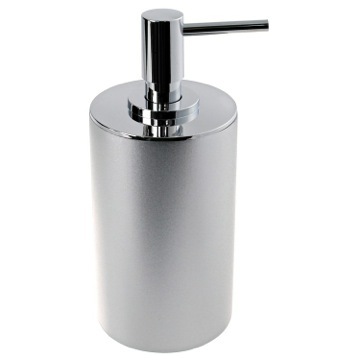 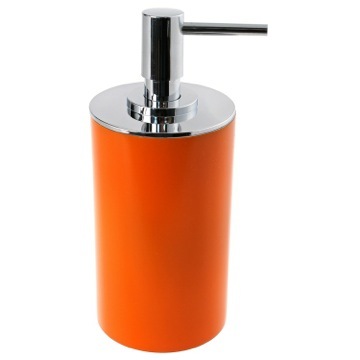 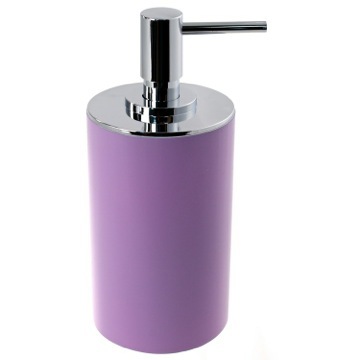 Part of the Gedy Piccollo collection, this free standing liquid soap dispenser is essential to always have soap handy. 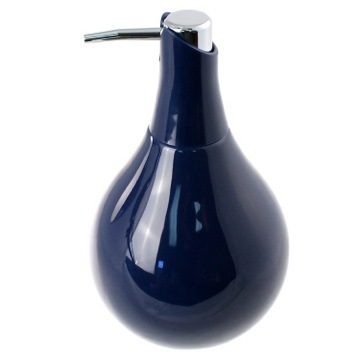 Manufactured in and imported from Italy by Gedy, a high quality, contemporary liquid dispenser pump that works well in contemporary settings. 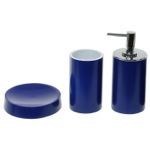 Made in resin and available in blue. 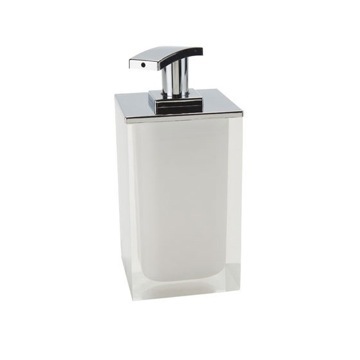 This was exactly what I was looking for in a small soap dispenser in our powder room. 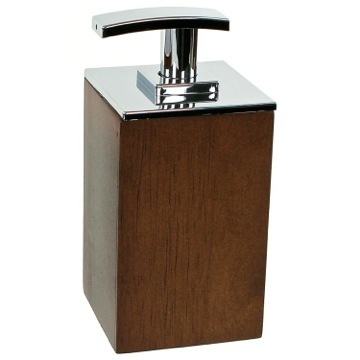 I love the matte finish, the height is perfect, soap is dispensed from the underside of the dispensing arm and not from the end. 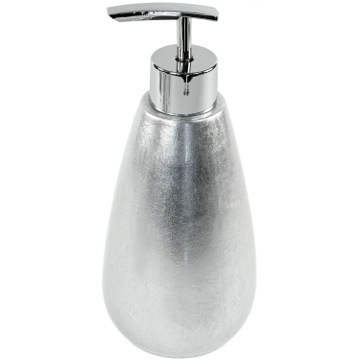 So soap doesn't come squirting straight out in places you don't want it!! 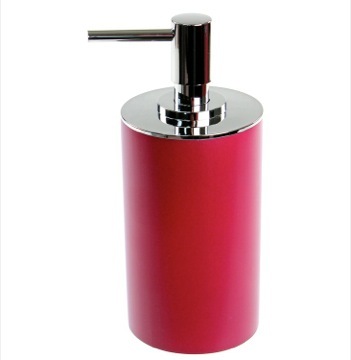 The quality seemed good, but the 'ruby red' was more mauve than anything. 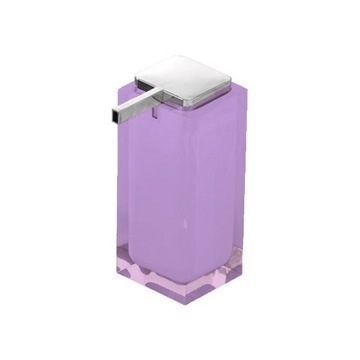 The soap dispenser works well and is the perfect size and color. 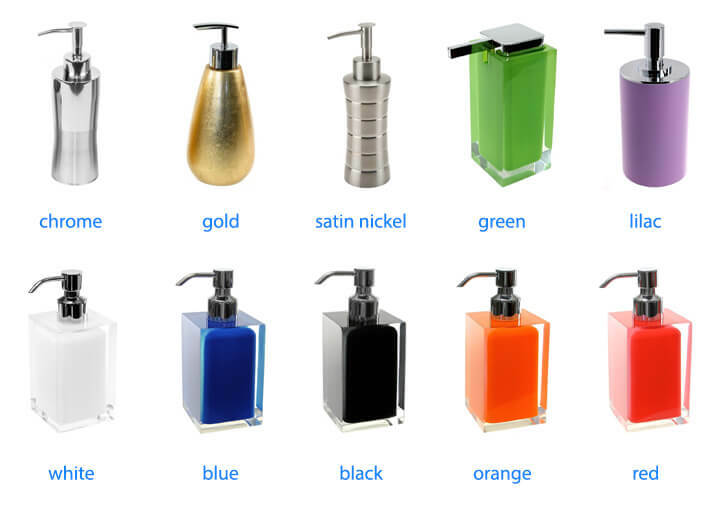 The problem is the soap drips and etches the plastic and discolors it. 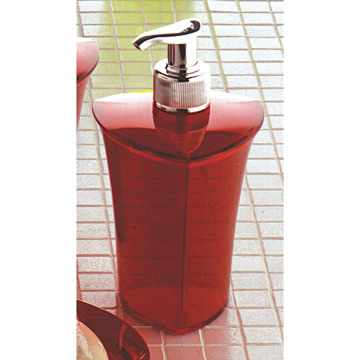 I have already sent a review for the red soap/lotion dispenser. 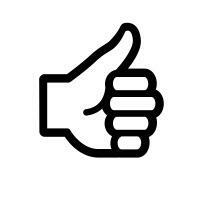 Extremely happy with it. 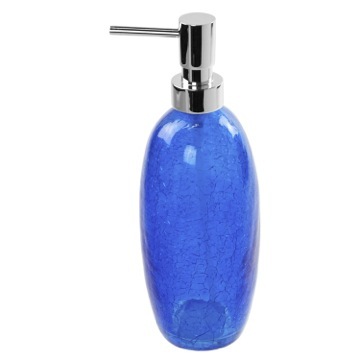 The mirror in the same order is of good quality and reasonably priced. 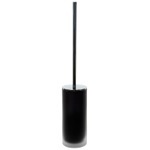 I like the fact that it is free standing and, of course, that it has 5x magnification. 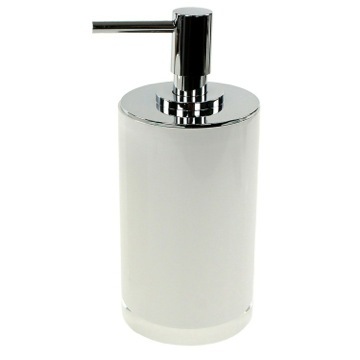 I like dealing with The Bath Outlet because I can be assured of quality. 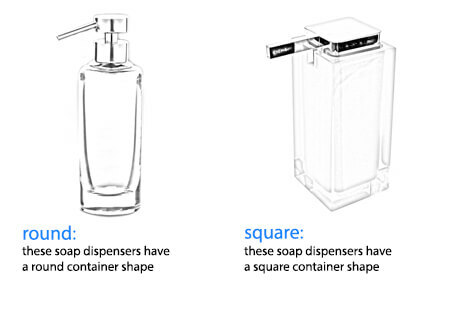 how many ounces of soap will it hold? 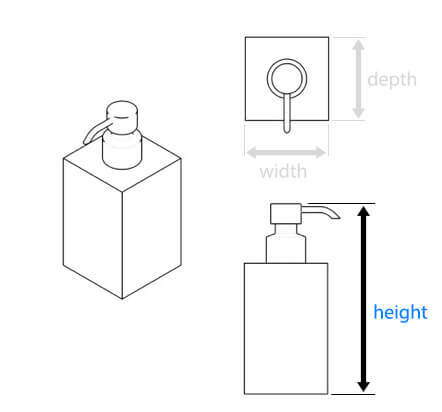 This item will hold 6 oz. 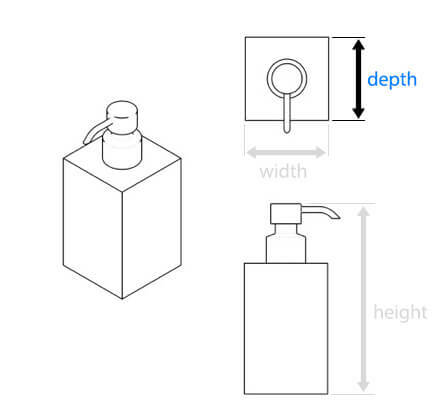 Is the pump plastic or metal? 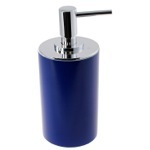 The pump is composed of plastic, finished in polished chrome. 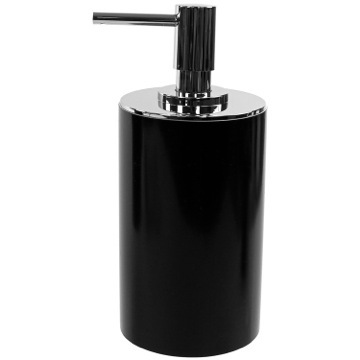 I would love the pump to be a black metal rather than chrome. 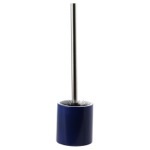 Do they make a black pump handle for this? Unfortunately, this pump is only available in the polished chrome finish. 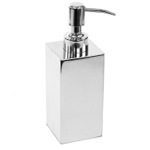 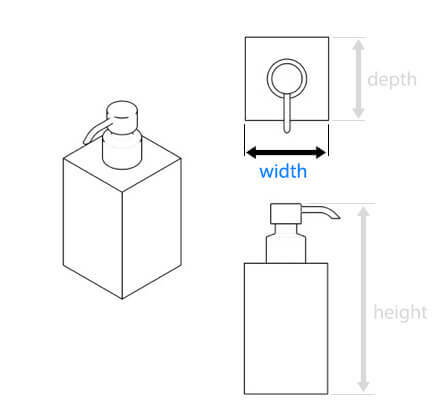 This soap dispenser is overall 5.25" in height. 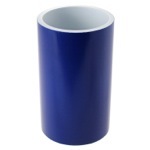 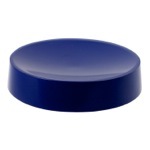 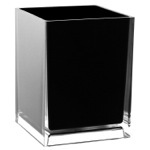 The heigh of the base only is 2 3/4" and the diameter is 3 1/2"